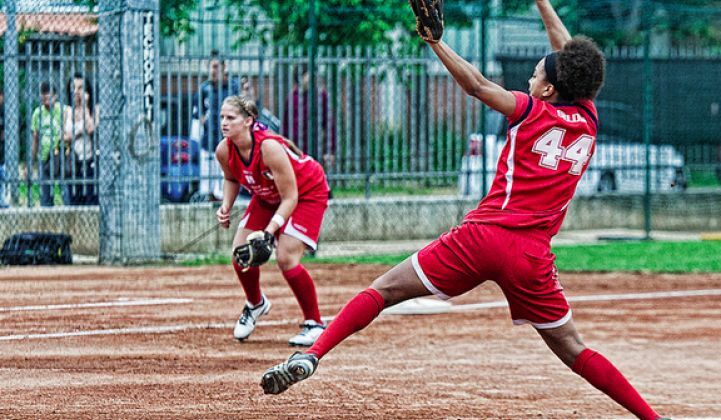 The current crop of energy storage startups are a sophisticated bunch. The roster of energy storage startups is getting larger and more diversified by the month. GTM's Julian Spector just published a pretty comprehensive list of the companies that launched their first U.S. energy storage product in 2016. 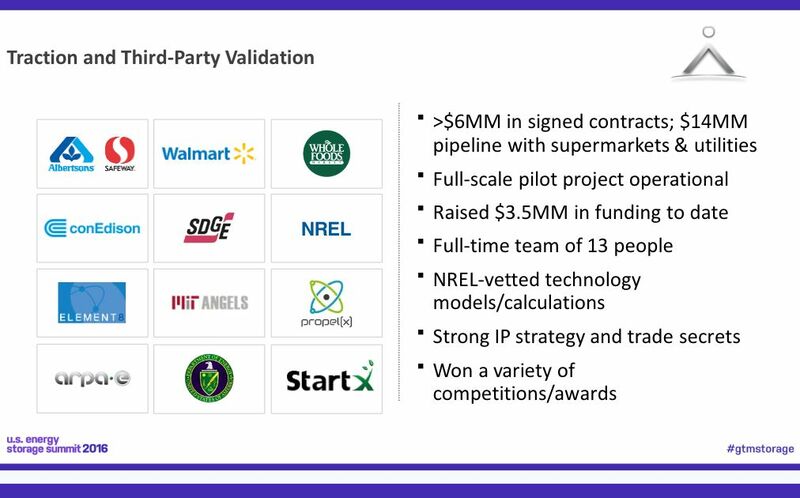 And as long as we're listing energy storage companies, here's a glimpse of the startup speed pitch session at the recent Energy Storage Summit. Elena Lucas, co-founder and CEO of UtilityAPI, has been working on smoothing the transfer of customer electricity usage data from the utility to the solar installer. Her company is now doing the same for the storage industry. She suggests, "Imagine you're evaluating a hotel for energy storage and you need historic billing and usage data and demand charges to figure out" if the site is a candidate for energy storage. "Getting that data is messy," according to Lucas -- "messy, manual and time-consuming." 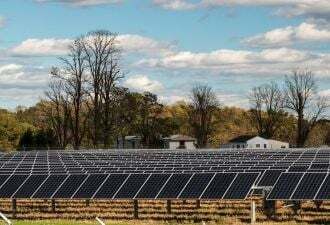 "We are automating that entire process, reducing the friction of data collection for energy storage, and for solar and energy-efficiency baselining," she said. 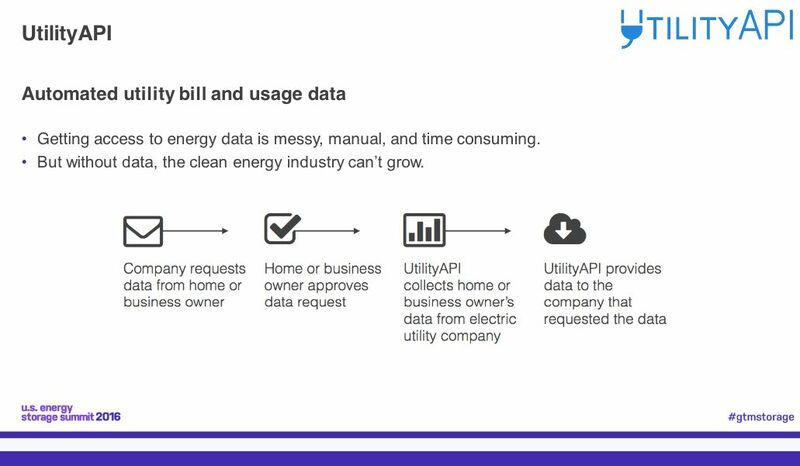 UtilityAPI’s software makes data collection seamless by "allowing would-be customers to authorize the release of their data simply by filling in a few boxes on an online portal," said Lucas. From there, its application programming interfaces (APIs) can pull data from utility smart meter databases and back-office billing systems, and translate it into formats that companies need to determine which customers are a right fit for storage and which aren’t. "Without this data, the industry can't grow," concluded Lucas. The Oakland, Calif.-based startup has already integrated with California’s big three investor-owned utilities -- Pacific Gas & Electric, Southern California Edison and San Diego Gas & Electric. Axiom Exergy's president and co-founder Amrit Robbins spoke of "refrigeration batteries" as an energy storage solution for supermarkets. "We take a fundamentally different approach -- rather than sell stacks of batteries, we transform the world's cooling infrastructure into intelligent connected energy storage assets." Robbins notes his firm has "$6 million in sales...to major national supermarket chains." The firm has 13 employees and has raised more than $3.5 million in funding from investors including Element 8 Fund, Victory Capital, the MIT Angels, Propel(x), the Sierra Angels, Tesla CTO JB Straubel, and other undisclosed investors. "We are selling to grocery stores, and life is hard for these folks," said Robbins. They are plagued by razor-thin margins of about 1.3 percent over the last 10 years, according to the co-founder. "And they are spending more on energy -- about three times more energy per square foot -- than other average retailers. They are scrambling to reduce costs by just a few basis points -- and energy is a huge opportunity," he said. "Saving $30,000 on a utility bill is the same as selling an additional $1.5 million of groceries," Robbins added. Robbins noted that refrigeration consumes half of the energy of a typical supermarket and that companies are dealing with more volatility and increasingly high peak demand charges. 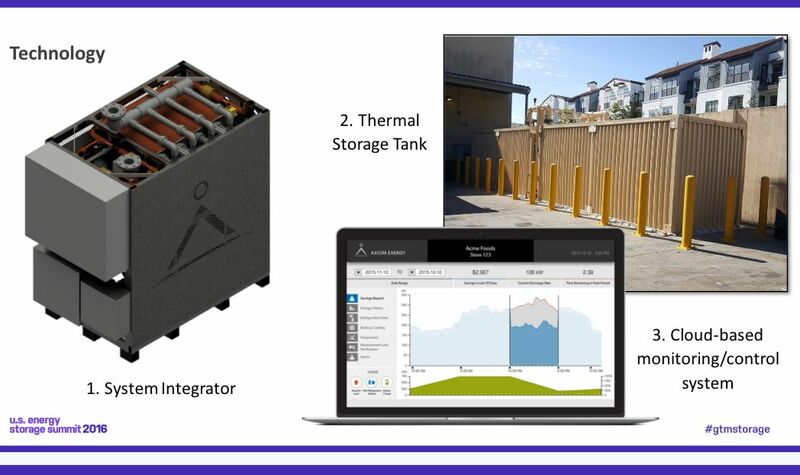 He claims Axiom has taken "old, forgotten refrigeration systems and transformed them into energy storage assets that are intelligent, cloud-connected and cost-effective." 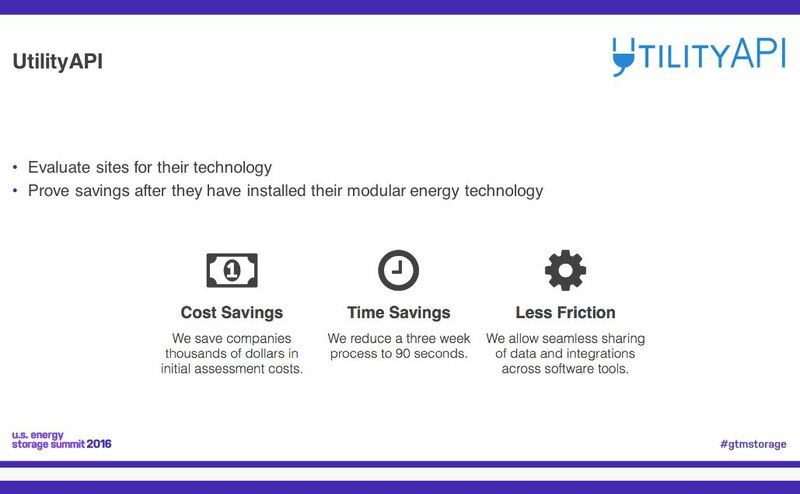 As we've reported, Axiom’s technology is long-scale thermal energy storage that leverages existing refrigeration and does not require any retrofits to the systems themselves. Axiom’s energy storage system takes the extra capacity from the refrigerator to freeze a tank of salt water overnight. The basis of the technology is similar to what Ice Energy does with air conditioning. During afternoon electricity peaks, the refrigeration battery uses the frozen salt water to provide refrigeration to the store’s units, which reduces or eliminates the need for compressors or condensers. 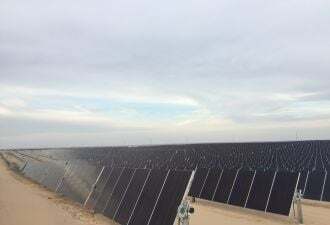 The installation of the 6- to 8-hour discharge batteries is theoretically much faster than a lithium-ion battery behind-the-meter system, as it does not have to go through a utility’s interconnection process, which can take months. "Central refrigeration is 9.1 percent of all electrical consumption in U.S. commercial buildings," Robbins said. He noted that it is just one slice of the pie, but "we can address this slice of the pie 10 times better than anyone else." 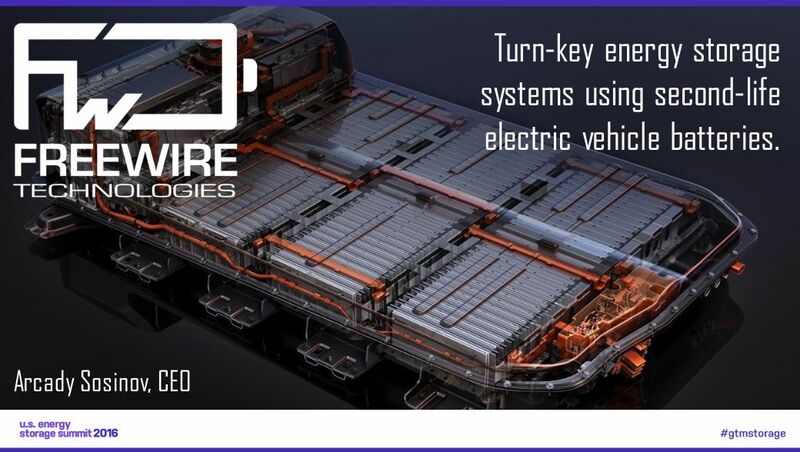 FreeWire CEO Arcady Sosinov's company is using "second-life" EV batteries to "reach a cost-competitive part of the market that other energy storage players typically cannot be competitive against," allowing them to "address new markets that have largely been ignored by other players." FreeWire provides "a clean and quiet alternative to diesel generators." 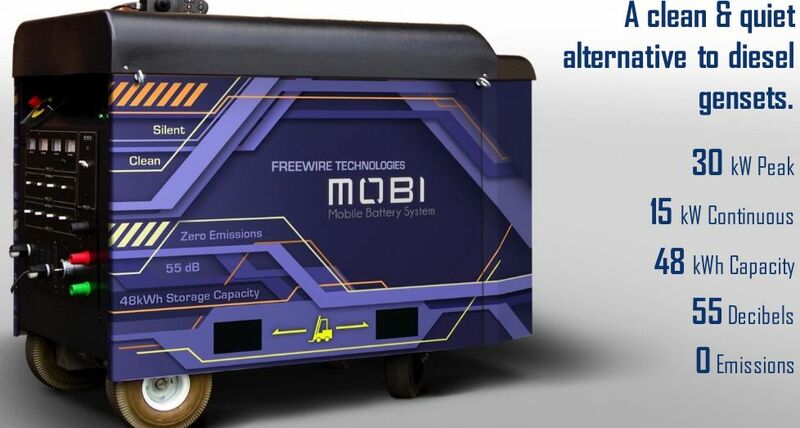 The washing-machine sized portable charging cart provides 30 kilowatts of peak power and 15 kilowatts of continuous power from the 48 kilowatt-hour system. Armed with this product and a competitive price, FreeWire is going after entertainment, sound production and movie sets. He notes that one of the company's generators is powering the filming of the latest seasons of Netflix's House of Cards. The company is also focused on the aviation market, the military and disaster recovery. But "construction is the most obvious" market, according to the CEO. 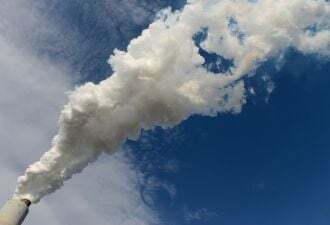 He said that the construction power market was $17.6 billion last year -- and 70 percent of that was rental power -- over $15 billion worldwide, and almost exclusively diesel. Sosinov said that FreeWire's system is about 40 percent more expensive than diesel -- but payback is 2.5 years because of lower operational costs compared to diesel. He adds that emerging markets are extremely fast growth environments for diesel generators. We reported on FreeWire last year, and at that time Sosinov told GTM that the cost of the second-life batteries is "a sixth of the new battery price." He added, "What people expect to pay in 2030 for battery prices, we pay today. Plus, we get a battery management system, busbars and cabling." He notes that the batteries might not be vehicle-ready, but they are "good packs" with about five years of life left in them if cycled twice daily. If the typical installed cost of a lithium-ion battery energy storage system is approximately $1,000 per kilowatt-hour (or less) -- then used battery packs are in the neighborhood of $100 per kilowatt-hour. But that price was from a year ago, and prices of lithium-ion batteries have fallen steeply since that time. However, Sosinov suggests that FreeWire's battery costs are still that same fraction, one-sixth, of new batteries. FreeWire has raised $425,000 in early-stage funding from the usual Berkeley-Haas suspects and others: Steve Blank, Jerry Engel, Center Electric, Arjun Divecha, Erik Steeb and Jay Zarfoss. The startup is part of the LA Cleantech Incubator and the Energy Excelerator, where it was awarded a $500,000 grant from the Navy’s Office of Naval Research for a project in Hawaii.